Oh wow! It was windy already by 8 a.m.! I guess I’m feeling desperate to paddle lately so I’m going outin any conditions. The wind was blowing from the north so I headed into the wind. It was a lot of effort paddling against the wind and white caps! I made it down to Cove park and turned around. What a bumpy ride! The wind pushed me south pretty rapidly. I had to paddle constantly or the wind would turn me around. I made it down to Kam 2 and then headed back. 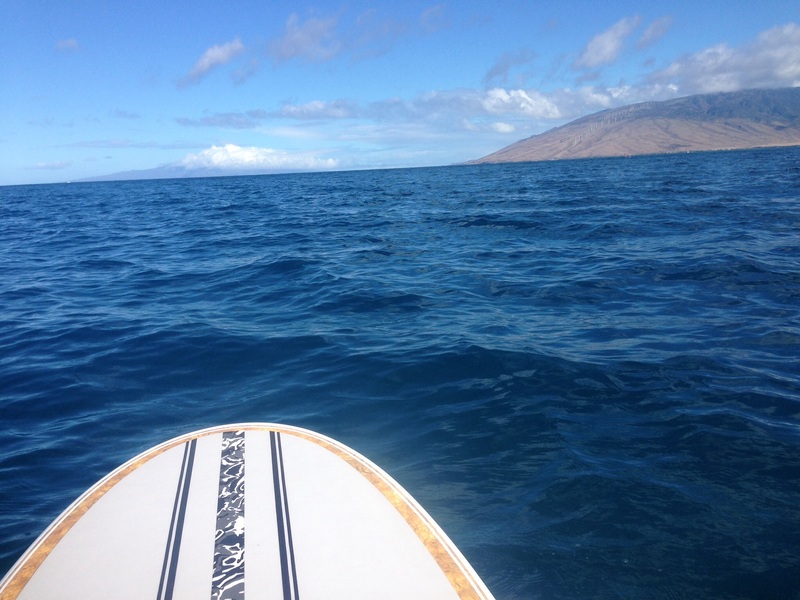 Just before I paddled in… I spotted a turtle swimming underneath me. I followed it for a little while and then realized the turtle was fighting the wind too! Coming in was fun getting pushed around by the wind! I hurried to rinse my board and secure it up on my racks. Then I went for my swim. Despite the wind …..visibility was pretty good in the water! I headed north and ran into a turtle swimming south so I turned around to swim with it! It swam under me and then next to me then I left it and swam north again. A few minutes later I ran across another turtle swimming south! Again, I turned around and swam along with it. After a while I was exhausted so I came in. Three turtles on a blustery day was a nice surprise! I hope tomorrow morning is calm!